Protective cover for 4.60 m in diameter trampoline. Protective cover adapted to round trampolines of 4.60 m in diameter. 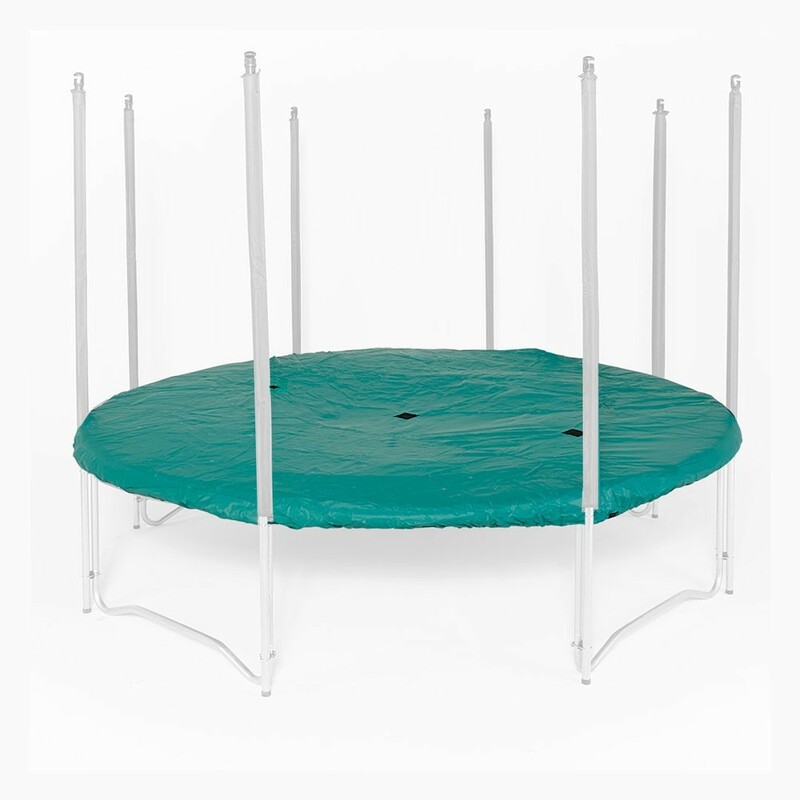 This protective cover has been designed for a round trampoline of 4.60 m in diameter. 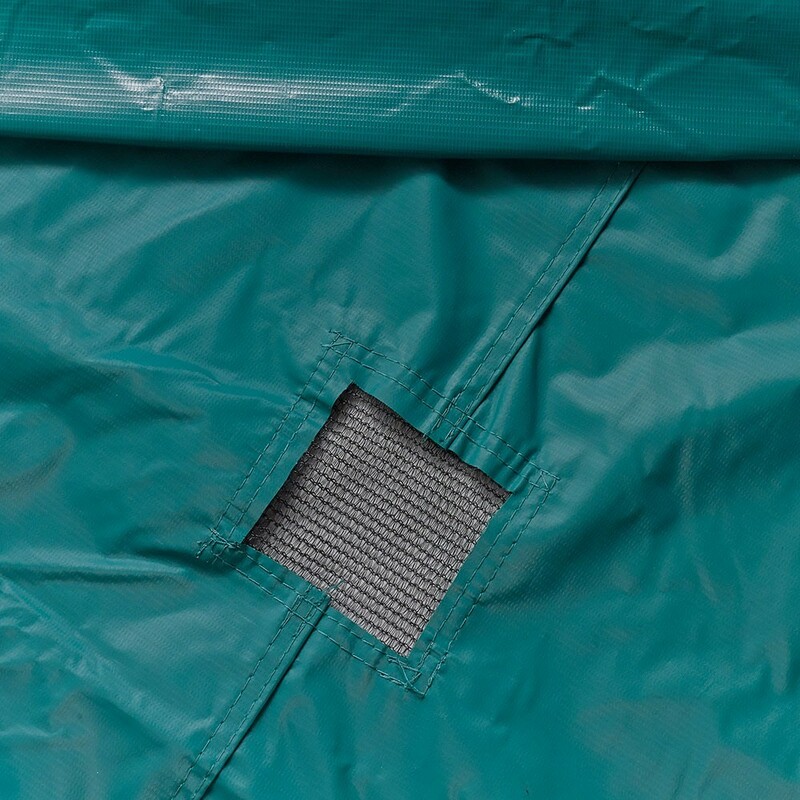 Using this cover will ensure that your trampoline remains clean and in good condition. 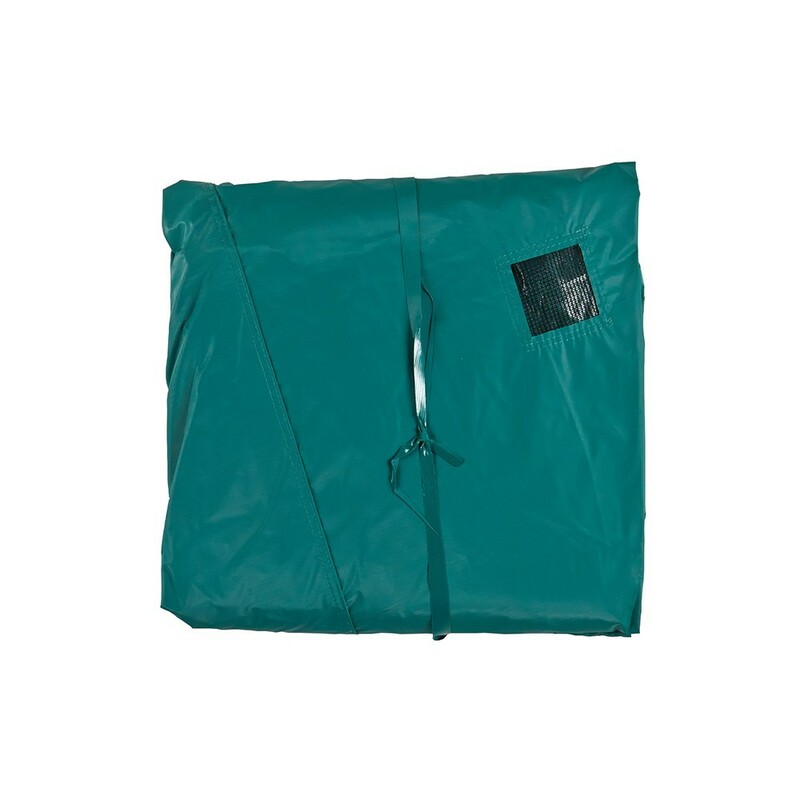 The jumping mat and frame pad will be protected from all weather conditions. 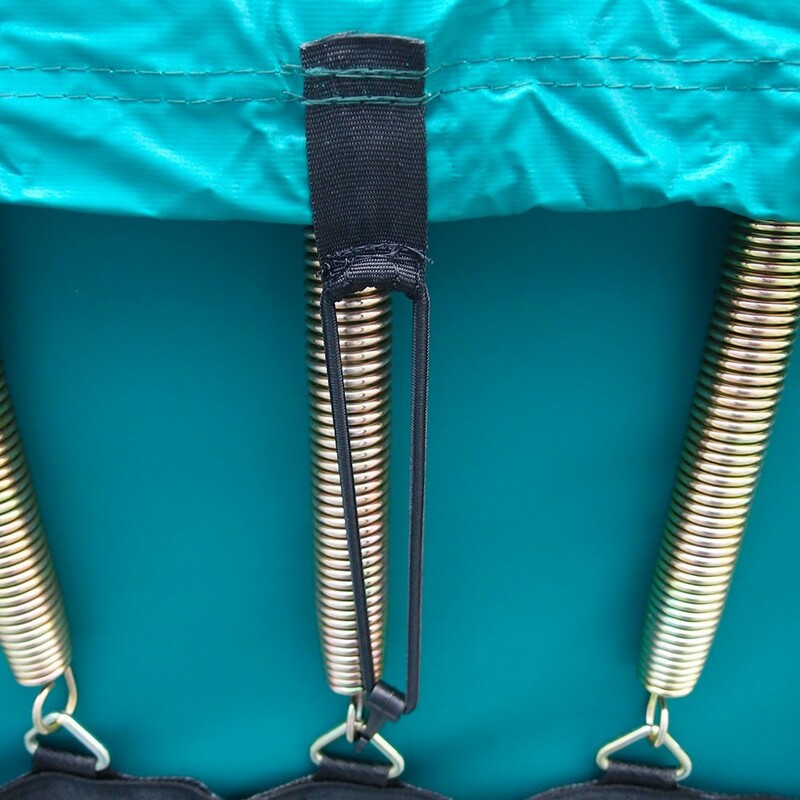 The cover allows you to keep your trampoline in the best possible conditions and increases its durability. - Cover adapted to a round trampoline of 4.60 m in diameter. 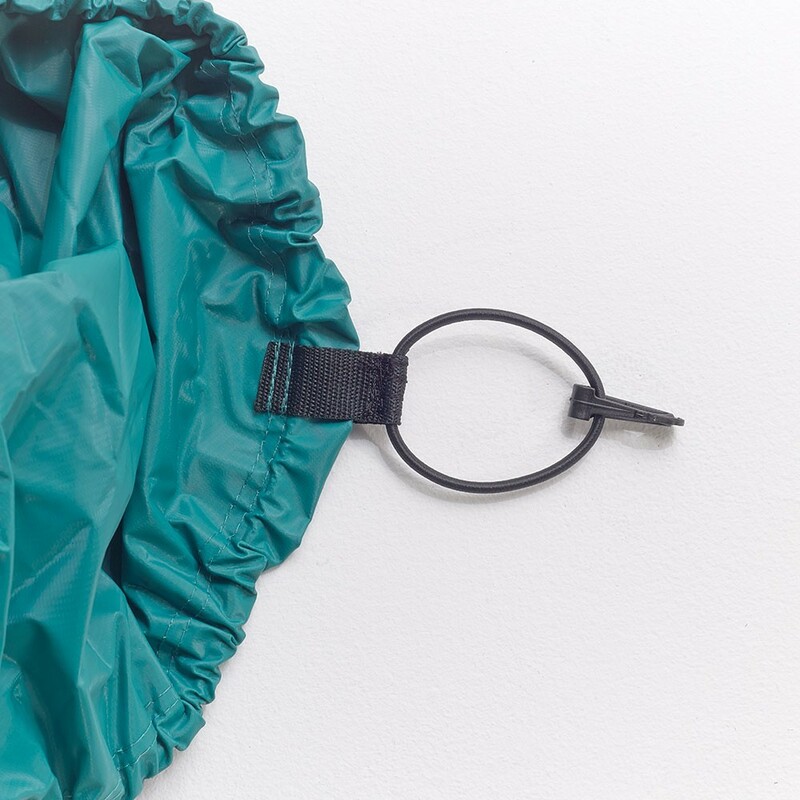 - Designed using a high-tech fabric and covered in PVC, this cover is very resistant and waterproof. The high density PVC (650g/m²) has similar characteristics to the tarpaulin used on lorries. 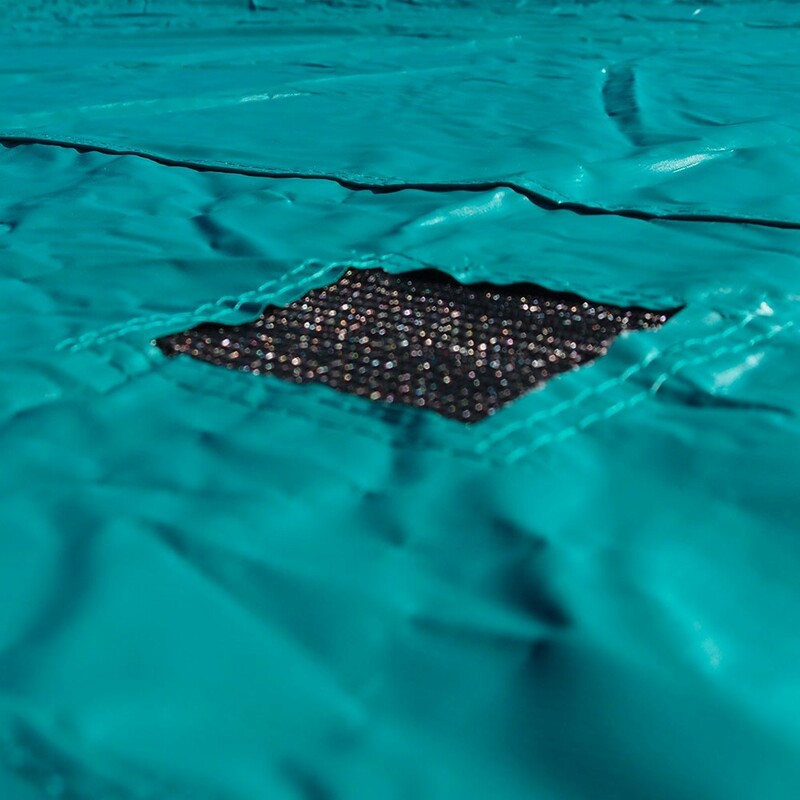 - To increase efficiency, the cover has 3 evacuation grids (black mesh grids) which allow water to drain and prevent the jumping mat and the springs from stretching and deteriorating. Your trampoline remains protected and dynamic. - In order to install the cover as quickly and as easily as possible, the fixation system is designed using hooks and straps. - The cover is green, making it as discreet as possible, to blend perfectly into your garden surroundings. In order to protect your trampoline in the best possible way from the weather, we would recommend using the cover during the winter. It can also be used during the summer to protect your trampoline from UV light. Thanks to this cover, your trampoline will always be clean and ready-to-use for the pleasure of the whole family.